The 5th annual perennial farm gathering is coming up! Farmers, scientists, and people with a general interest in perennial crops and pastured livestock will all find it valuable to learn what other farmers are doing, what’s working well, and what needs more work. 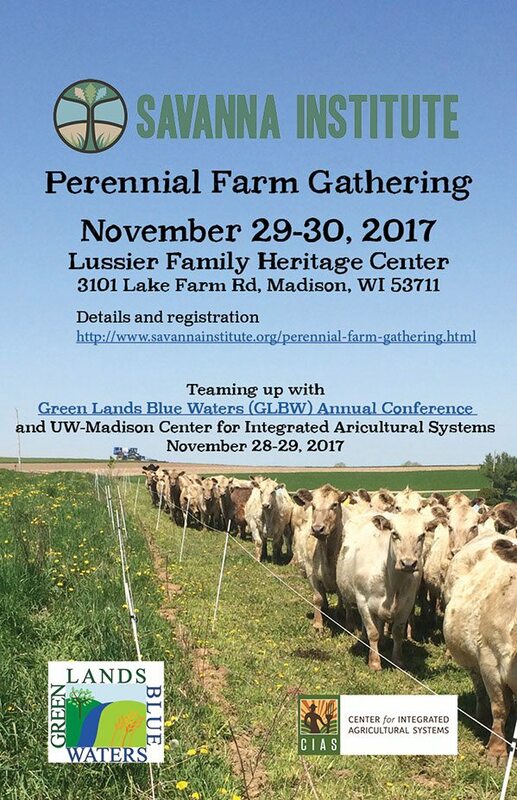 This year, the Savannah Institute is teaming up with the Green Lands Blue Waters (GLBW) annual conference and have expanded their Perennial Farm Gathering to a multi-day event. Click HERE for more information and the full agenda and HERE to register.